What are the hours of the Shorter Libraries? How do I find out if Shorter owns a particular book? How do I cite sources for a paper? 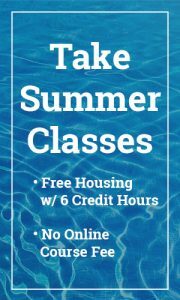 What library resources are available off-campus? How long is the checkout period for books? Is there a grace period before fines are charged? If I keep an item past its due date, will I receive an overdue notice? What if I need a book past the due date? May I renew books over the phone? Can videotapes or CDs be checked out? Can magazines or journals be checked out? What are reserve materials? Can they be checked out? What if someone has something checked out that I need? What if I need a book or an article that Shorter doesn’t own? Do Shorter University students/faculty/staff/ have privileges at other libraries? What are the hours of the Shorter University Libraries? Saturday: 1:00 p.m to 5:00 p.m. Check SCHOLAR for holiday hours. Search the online catalog which is available on or off-campus. Click for more information on how to find books. Use a periodical index that covers the subject of interest. Click for more information on how to find articles. It will depend on the citation style your instructor assigns. The Online Writing Lab from Purdue University is a great place to find specific guidance on citing sources. The Shorter Libraries’ Catalog, the Shorter Libraries’ Periodical List, GALILEO, JSTOR, and other databases are available off-campus. Passwords for these resources change regularly, and can be found in the Library tab of Scholar. Books are checked out for a month. You will get a physical or digital due date slip when you check out, so that you will know when items are due back. Yes. Overdue notices are typically emailed once a week as a courtesy to library patrons. You may renew books in person for another month as long as nobody has placed a hold on them. Rome students: materials may be renewed over the phone once with the valid library ID number and barcode off of the item needing renewal. Fines for books in the regular collection are $0.05/day with a maximum of $5. The library system will automatically block library privileges for undergraduates with a fine balance of $10.00 or more. At the beginning of each semester, undergraduates with a fine balance of $5.00 or more will have their library privileges blocked; undergraduates that also have overdue library materials at the end of the semester will have their grades held. At the end of each semester, graduate students must return all library materials and pay their fines or their grades will be held. By the end of the semester that a senior graduates, (s)he must return all library materials and pay her/his fine or her/his grades will be held, and students will not be allowed to graduate. You will be charged the replacement cost of the book and an additional handling fee. No. Due to their replacement cost and demand for access, reference books must be used in the library. Can DVDs or CDs be checked out? Yes, for a week at a time. Some DVDs on in-house reserve may not be checked out. Listening and viewing facilities are also provided by the library. No. Due to their high volume of use, periodicals must be used in the library. Reserves are items which professors place on hold at the library so they will be available for an entire class. These items are kept at the circulation desk and, depending on the professor’s specifications, may be checked out for in-library use only, for overnight use, or for one or two days. There is no grace period for overdue reserve materials and fines accrue at a higher rate. What if someone has something checked out that I need – can I find out who it is so that I may ask that it be returned? No, that information is confidential. However, you may request a hold on an item that is checked out. Items with holds cannot be renewed. You will be notified when the item is returned. What if I need a book or an article from a magazine Shorter doesn’t own? You may request an interlibrary loan, which means Shorter will try to borrow the item from another library. You should allow 7-10 business days to receive an interlibrary loan, and should specify on the interlibrary loan form how much you would be willing to pay if we are unable to find your item at a library which doesn’t charge (most book loans are free but some libraries may charge for copies). To request an interlibrary loan, see the links and instructions on the Request Forms page. Yes. There are more than fifty computers available for Internet and GALILEO searching in the Rome campus library and IT Lab within the library. Yes. In addition to the resources of the Shorter University Library, you have usage privileges at the following libraries within Georgia. A link to each library’s catalog has been provided when available. When checking out materials at any of the following libraries, you must provide your Shorter University ID card. As necessary, explain that your Shorter University ID serves as your library card for Livingston Library. You are responsible for any fines; you cannot transfer fines to your Shorter University account. You must also abide by the regulations of the lending library.